Last week I taught two sessions of my free motion quilting class at the Silverdale Quality Sewing and Vacuum store. Both sessions were full and the students were great, so enthusiastic and all made great progress with their free motion work. We have scheduled another session in October for anyone closeby who missed these two. 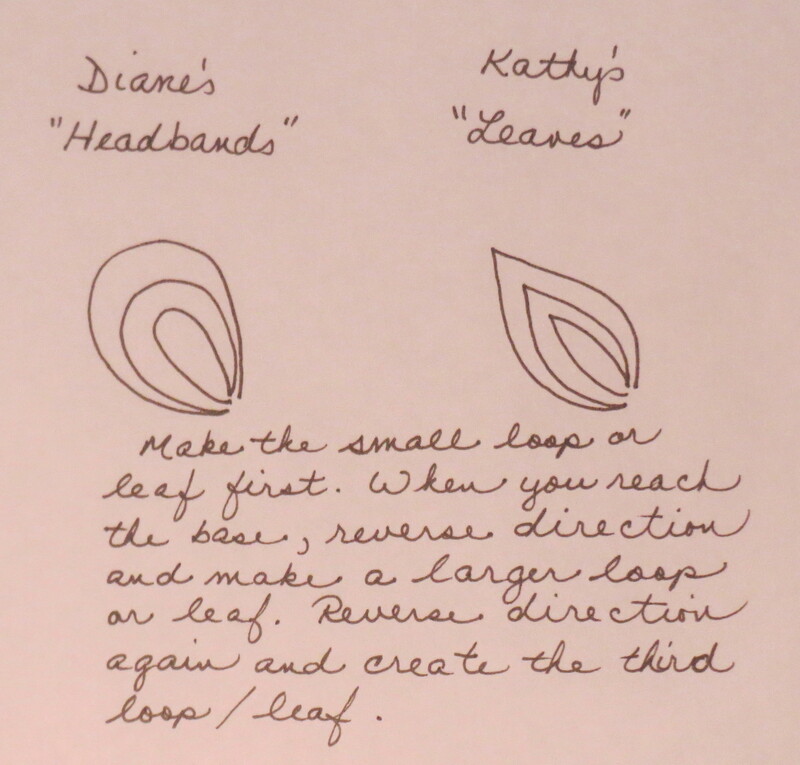 The new design is very similar but ends up with leaf shapes instead of headbands! Here I have sketched out the two different basic patterns to show the comparison. They are both made the same way, and the overall space is filled up the same way, but the leaf shape has a point at the top of the curve. Isn’t it a great design? 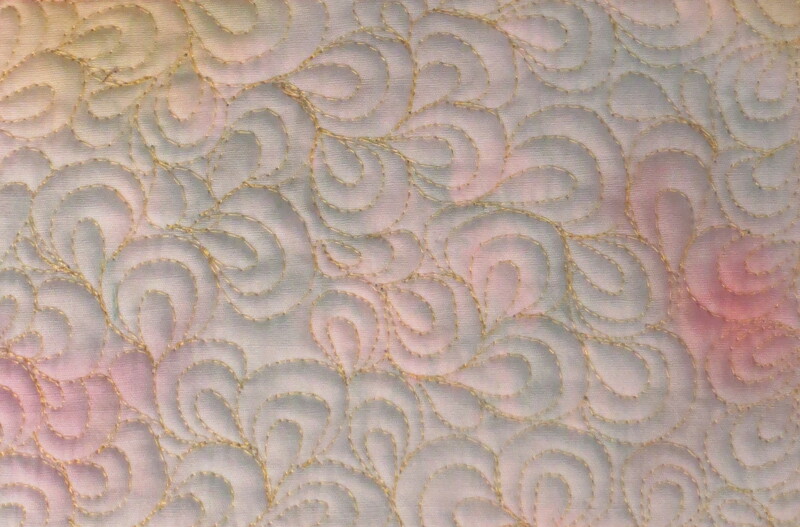 It would be a wonderful background filler pattern on many quilts, and I expect to use it in the future. It could be modified by changing the shape of the leaves, making them larger or smaller, and could probably also be opened up somewhat (leaving some gaps between the leaves) although I haven’t tried that yet. 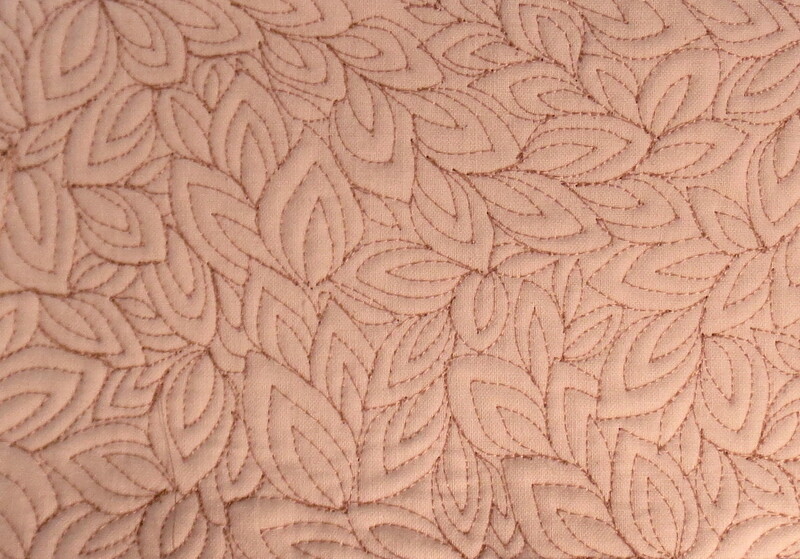 This entry was posted in Free Motion Quilting, Quilting, Quilting Classes and tagged Free Motion Quilting, headbands quilting pattern, leaf quilting pattern on September 8, 2013 by Shirley at Mystery Bay Quilt Design.